Like most people, I have a number of quiet ambitions. I’d like to learn the piano, climb the Matterhorn and understand the point of cricket, for example. I’d also like to have Tony Blair hanged. The charge would be high treason, but it would be impossible to name all his victims at his trial. He would die of old age long before the verdict. The war-toll in Iraq and Afghanistan would be enough on its own, but I’m most concerned with my own people. Thousands of White Britons have been murdered, raped or badly injured by the vibrant hordes who poured in when New Labour slyly and secretly opened the borders. Billions of dollars continue to be stolen by or wasted on the incomers. Blair is perhaps the biggest traitor the United Kingdom has ever known, which is why he is now being rewarded so lavishly by the hostile elite. Thanks to his status and his millions, Blair is surrounded by twenty-four-hour security, so he doesn’t need to worry about close encounters with the vibrancy he has unleashed on ordinary Whites. But it turns out that his daughter Kathryn isn’t so lucky. While out with a group of friends in London — The World’s Most Multi-Culti City — she was threatened at gunpoint by muggers. The story has been in all the papers and the London Metropolitan police are seeking witnesses to the crime. No-one will need telling what this censorship means. The British media are once again concealing a very important truth: that Blacks and other non-Whites: a) commit a hugely disproportionate amount of violent crime; and b) direct that violent crime disproportionately against Whites. So yes, I’d certainly like to see Tony Blair hanged, but I’d also like to see a lot of liberal editors and journalists on trial with him. I don’t demand the rope for them: long sentences in Third-World jails would be more appropriate. Liberalism is based on lies about human nature and is destroying the West with its lies. Without the internet, liberals would be winning by omission very successfully. With the internet, the fight has gotten a lot less one-sided. 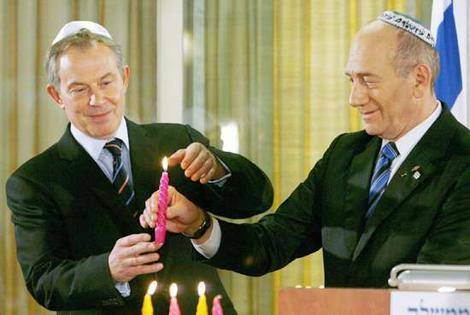 So I am hopeful that Blair will pay the price for his treachery one day. I’m a lot less hopeful about liking cricket.